What Freshdesk Triggers and Actions are Supported? New Contact - Triggers when a new customer is created. Update Contact - Triggers when a user is updated. Add Notes to a Ticket - Add Private or Public notes to a Freshdesk Support Ticket. Create Forum Topic - Create a new Forum Topic on Freshdesk Forums. Create Forum Category - Creates a Forum Category. Create Company - Allows you to create a Company entry in Freshdesk. Create Ticket - Create a ticket in Freshdesk for your domain. Create Contact - Allows you to create a User/Customer in Freshdesk for your support domain. Create Forum - Creates a Forum under a Category. You can find the API key under, "User Profile" drop-down (top right corner of your Freshdesk dashboard) > Profile Settings > Your API Key. Usually, this occurs when trying to create a contact in Freshdesk that already exists there. Sending along brand new contact information should ensure this error doesn't happen moving forward. If this is happening, it's likely that you've hit Freshdesk's API limit of 1000 API calls: https://freshdesk.com/api#ratelimit and that limit resets once an hour. Unfortunately, there isn't anything that can be done to get around this limit. The Updated Ticket trigger will only trigger if you update the status, priority, or type of ticket. Adding tags and such does not trigger the zap. Updating closed tickets also does not trigger the zap. 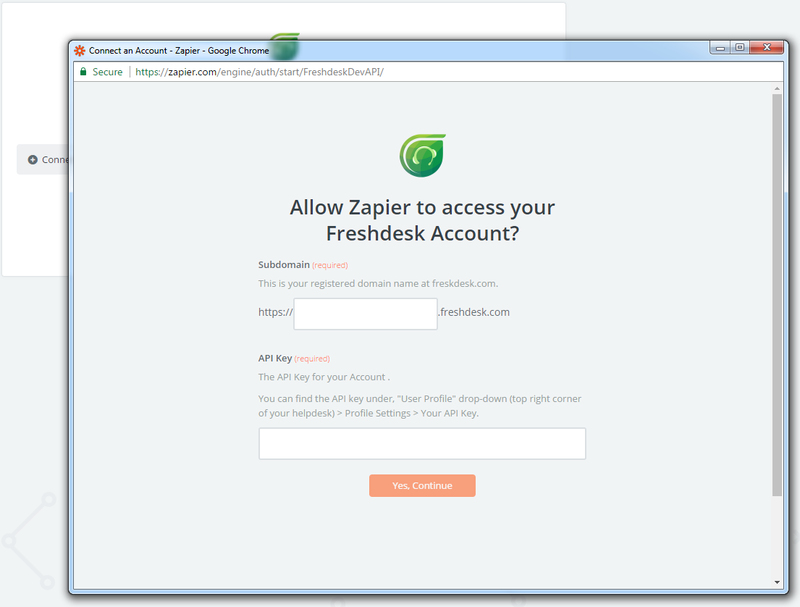 FreshDesk requires the account that you connect to Zapier to be of an "Admin" level status. 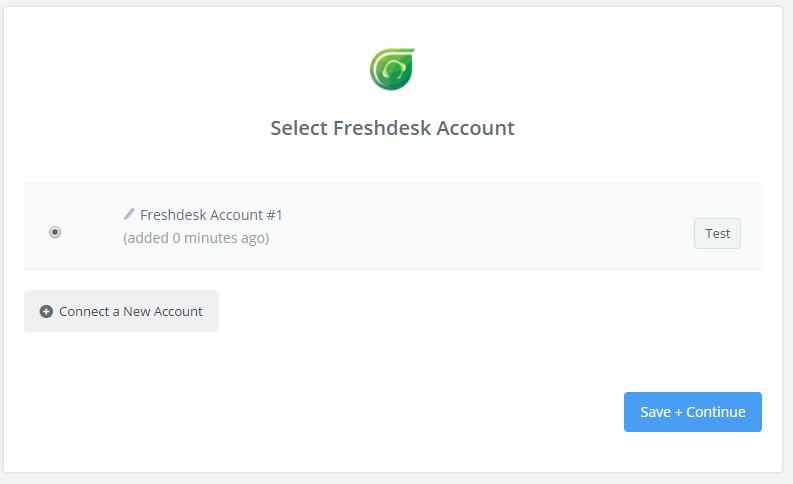 Non-admins cannot use FreshDesk's API fully, and doing so will return different kinds of errors if your account is not an Admin. User role can be determined by going to http://customerdomain.freshdesk.com/agents, then clicking on agent name, then on subsequent screen, the Edit Agent Button.